Just an hour north of Los Angeles, Ventura County Coast offers an incredible array of activities ranging from nature, to shopping, and an incredible dining scene and much more to make this a sublime destination on coastal California to vacation. There are plenty of incredible things to do in Ventura County Coast in Ventura, Oxnard, and Camarillo that make this our new favorite pick for a holiday in California. We were blown away, considering we are practically neighbors to the area, that there was so much to do in Ventura, Oxnard, and Camarillo just an hour north of LA. We couldn’t believe we hadn’t been to this sleeping giant of a destination and that it made Orange County look completely crowded. From the adorable and charming downtown of Ventura to the diverse nature and beauty of the Channel Islands National Park and the shopping and dining scene in the area we had an action-packed three days. 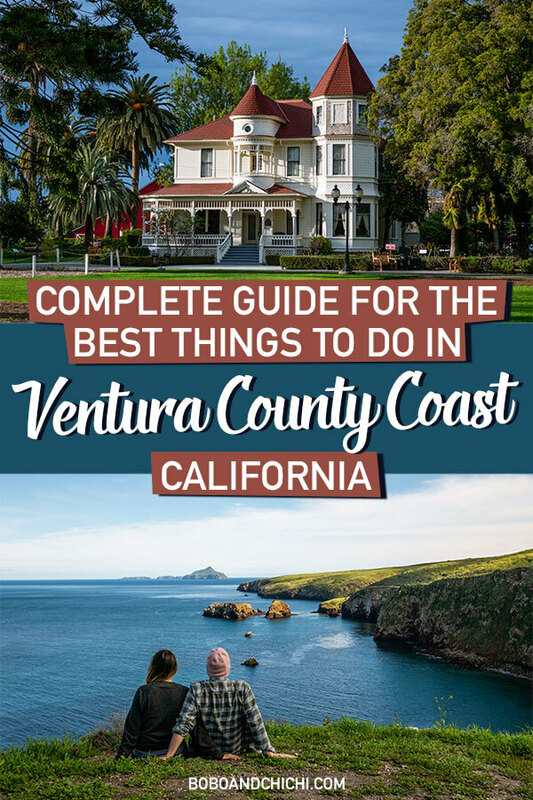 We have put together this guide for the best things to do in Ventura County Coast for a first time visitor to help introduce you to this incredible area through all your senses. Don’t miss out on one of California’s best-kept secrets. Easily one of our favorite things to do in Ventura is spending time exploring Ventura’s historic downtown. From having historic Victorian homes to a mission, antique shops, thrift stores, cute boutiques, restaurants, and a surf scene there is so much to explore down here you can actually spend an entire vacation just here enjoying the less crowded version of your favorite adorable California coastal town. 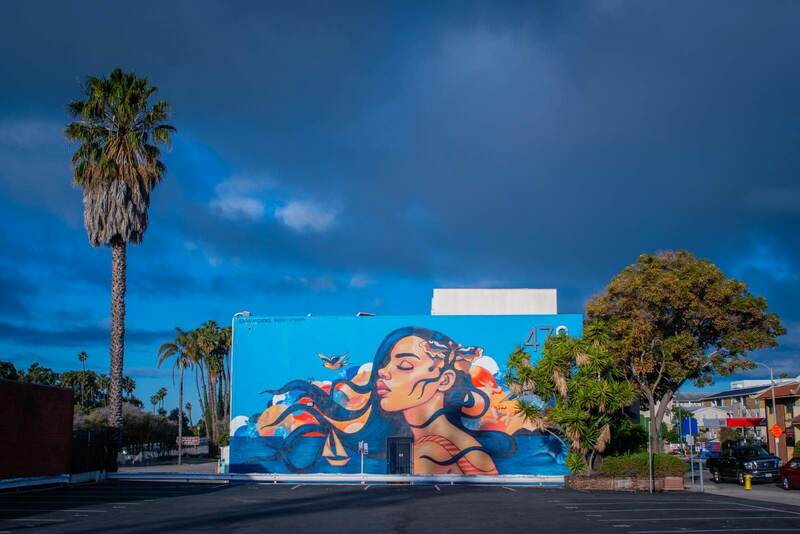 Here are our picks for the best points of interest and things to do in Ventura’s downtown historic district. One of the best things to do in Ventura and historical points of interest is the San Buenaventura Mission. 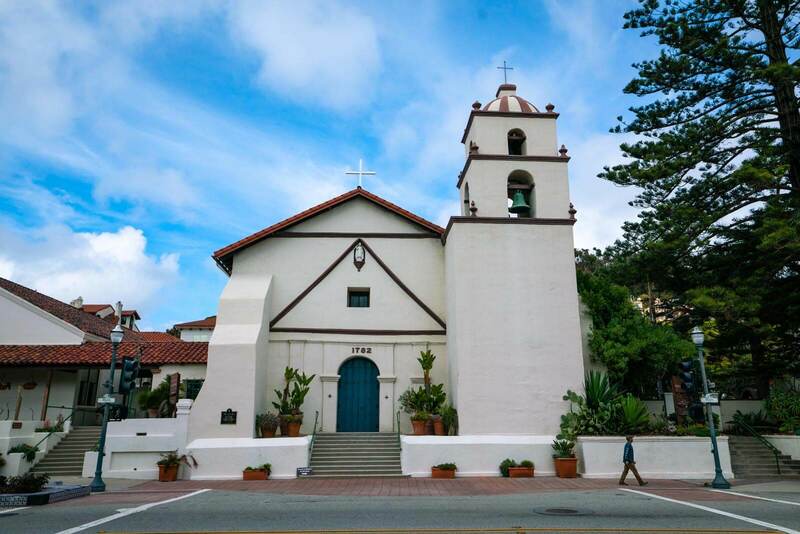 This Spanish mission dates back to 1782 when it was founded by Saint Junipero Serra. This is the ninth Spanish mission in the state of California and the last by Junipero Serra. Known as the ‘Mission by the Sea,’ you can visit what is left of the entire mission complex on your visit to Ventura. Enter through the gift shop and begin your self guided tour of the mission starting in the garden & grotto. Make your way through the Mission Church, Padre’s Burial, and a replica of Michelangelo’s Pieta. Open daily from 10 am to 5 pm, closed on major holidays to visitors. 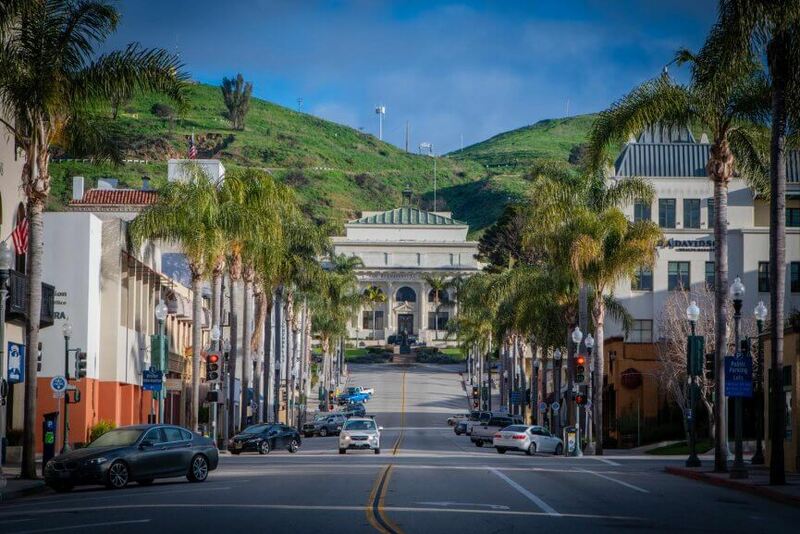 Strolling and browsing through Main Street is easily one of our favorite things to do in Ventura. 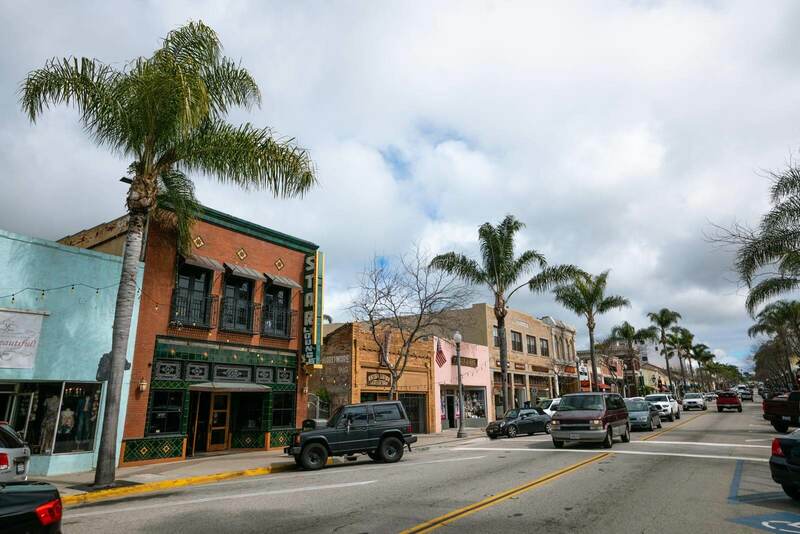 Downtown Ventura is full of incredible boutiques, thrift stores, antique shops, restaurants, bars, and historical sites. There’s no shortage of great dining options to choose from, more on that later, and shops! We loved the array of vintage and antique stores mixed in with trendy boutiques and home stores. Iron and Resin – Mostly a men’s store with an inviting entrance with vintage motorcycles and a mix of surf and gritty style from their accessories to clothing. This is where you’ll find vintage concert tees, cool flannels, and denim. There’s even a small section in the back for women. Copperfields- Another cool stop on Main Street is Copperfield’s gifts. I was drawn in by the vintage looking maps and posters on display and loved their selection of small gifts and even antiques. 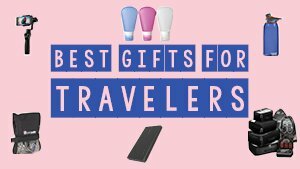 This is a cool stop if you’re looking for a small gift for someone you know. Tiki girl- A cute beachy boutique on Main Street is where to go for a hot new bikini, the perfect beach dress, or accessories! I loved the entrance to this boutique with its neon light and boho chic décor. Rocketfizz- If you’re looking for the old school soda and candy shop then look no further on Main Street in Ventura! Find just about any candy under the sun and loads of soda flavors that will give your sweet tooth its fix. Refill Shoppe- We absolutely love the concept of this home and beauty supply store! With a world full of too much single use plastic this entire store’s mission is to sell beauty and home cleaning products in reusable containers. Bring your own jar or buy one in the store and fill it up with whatever products you’re looking for. 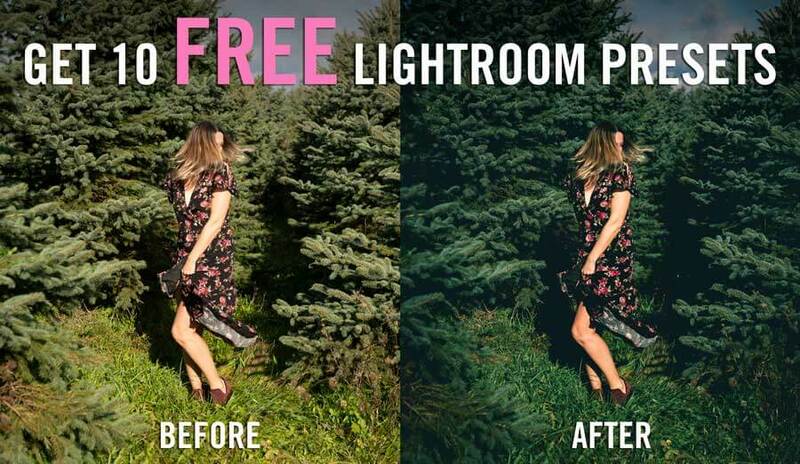 It’s genius and we love and support the environmentally and sustainability friendly message. 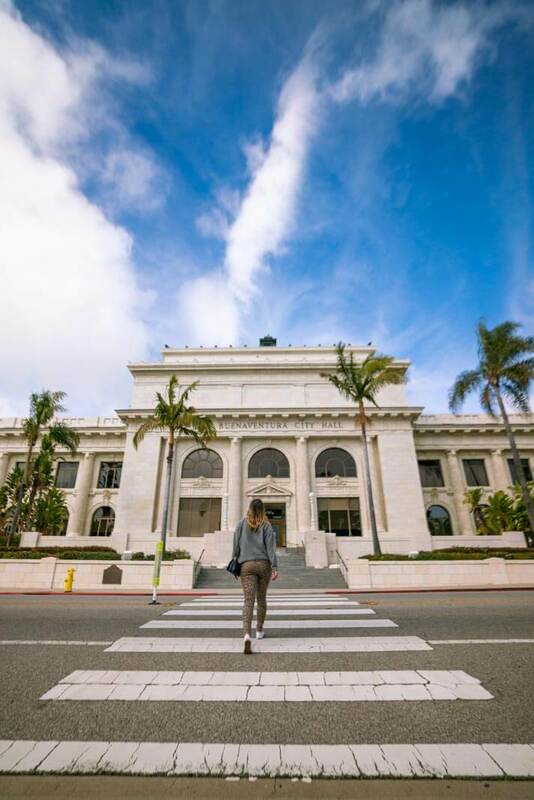 One unmissable thing to do in Ventura is visit the Historic City Hall. You can’t miss it resting on the hill at the top of California Street with the palm-lined streets on either side. 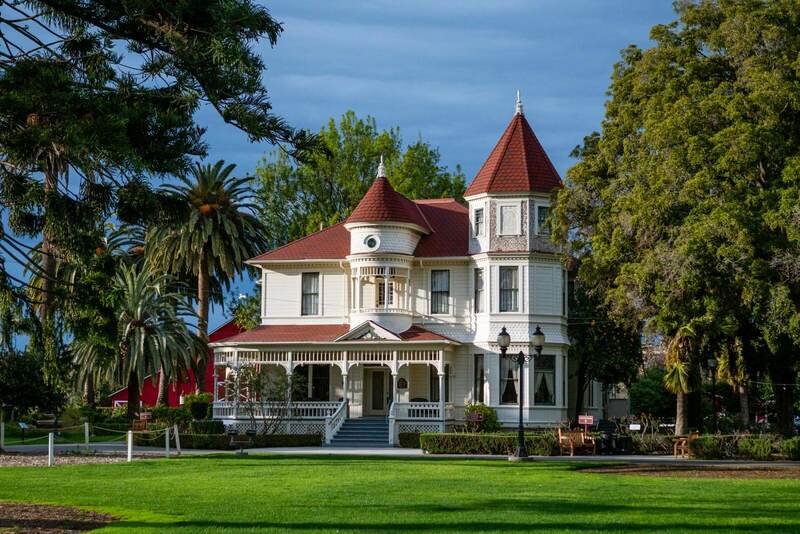 This masterpiece of a building dates back to 1912 and is a California Historical Landmark. We showed up on a Sunday and couldn’t peek inside but the terra cotta exterior and design of this building was fun to admire and photograph. Be sure to make a visit. Another one of the best things to do in Ventura and in Ventura County Coast for anyone who wants to get in the ocean is enjoying the local surf. There are a few different beaches to surf in the area. 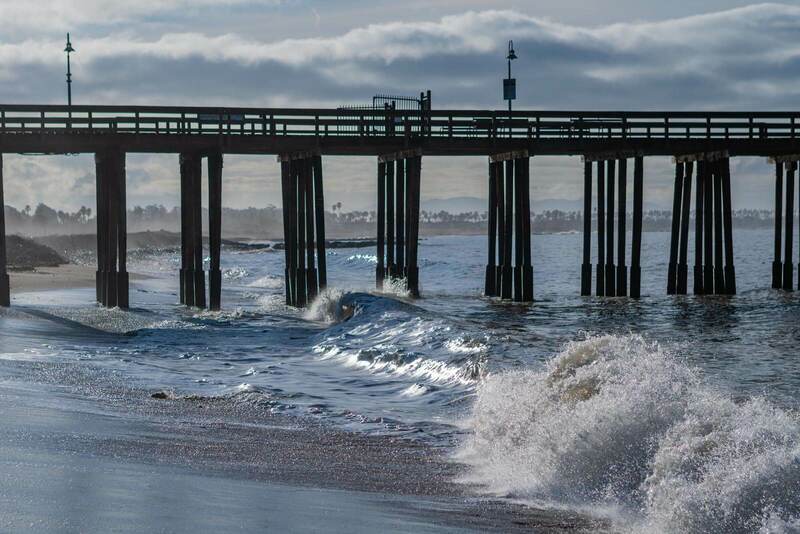 One of the best locations to surf for visitors who are a beginner or moderate level of surfing is at C Street or Surfers Point right by the pier in Ventura. Don’t have a wetsuit or surfboard? No worries. Ventura is prepared to help visitors get their surf on and have local places that do daily rentals for body boards, surfboards, and wet suits. The most convenient location we noticed who rents out surfing gear was at Rip Curl near the pier. I don’t know what it is about piers we love but visiting the pier was another favorite thing to do in Ventura for us. Scott loves photographing piers whether he’s under the pier, on the pier, or flying our drone above it. 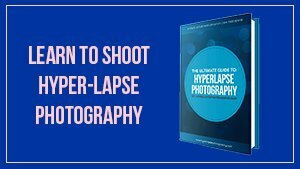 They are such interesting photography subjects. 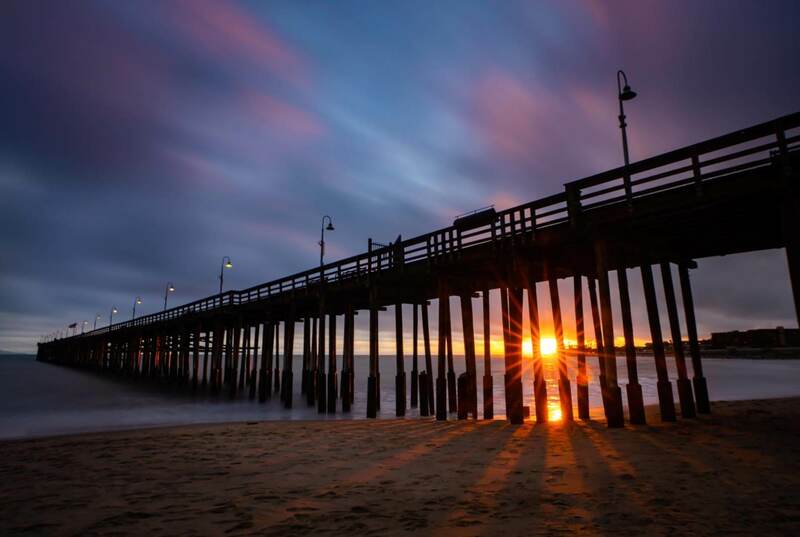 What makes this pier even more special is that it’s considered as another one of California’s Historic Landmarks. The long wooden pier dates back to 1872 and was used as a commercial fishing wharf known as Ventura Wharf. 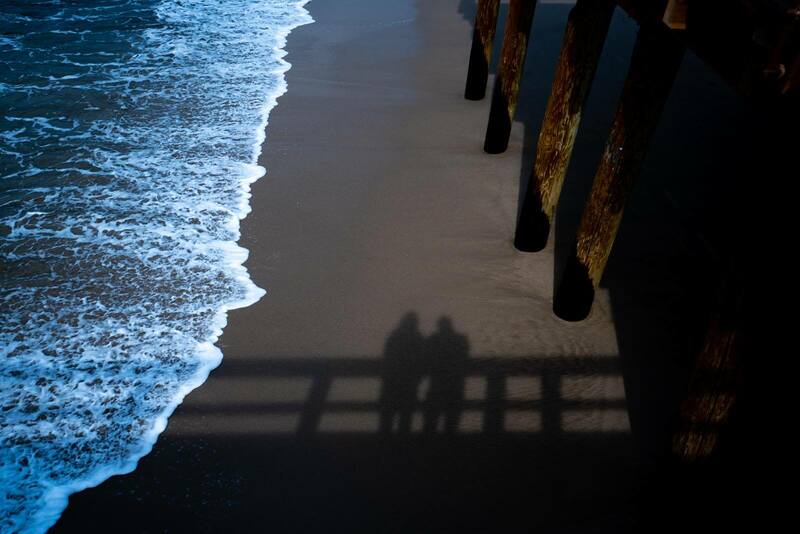 This is also the longest pier in California at 1,958 feet until 1995. Today the pier is only 1,600 feet long but is still impressive and offering rewarding views of the ocean and the Channel Islands off in the distance. There are some great seafood restaurants and even a cute boutique called Native Eye selling little knick knacks from coffee mugs, jewelry, to vintage denim. Check it out, however, if it looks closed don’t give up, the hostess at the seafood restaurant it’s attached to also tends the store and will let you in to browse and shop. If you’re looking for a bit of greenery in Ventura then check out Grant Park directly behind the historic City Hall. The park has nice walking paths and is a great place for an impromptu picnic. There’s even the giant Serra Cross in the park that Father Junipero Serra put up in 1782 to celebrate the new San Buenaventura Mission. During our visit we didn’t make it up here due to repairs being made after the Thomas fires. However, whether you come to visit the cross or not there are incredible views of the city of Ventura below and the Pacific Ocean off in the distance! The dining scene in downtown is one of the best things to do in Ventura. We didn’t have a single meal disappoint, as a matter of fact the places we did dine at blew our tastebuds. We recommend having lunch at Paradise Pantry. This local farm to table restaurant has an adorable, rustic setting with incredible fresh farm to table fare. Their sandwiches looked heavenly but we opted for the famous mac n cheese paired with an excellent salad. They also have a great wine selection, our waitress paired the perfect Chardonnay with our meal. 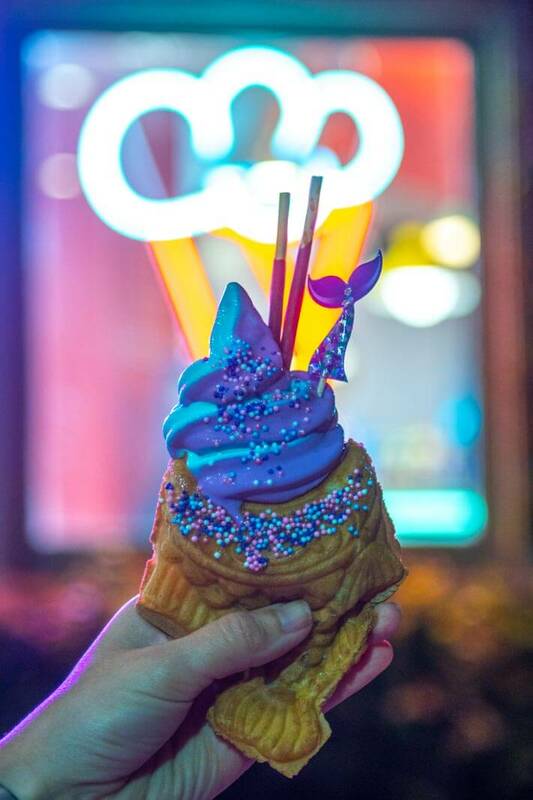 Be sure to save room for dessert, even if it’s just a bite. They offer some desserts in a bite size portion which is perfect if you just want a small sweet treat. We then recommend going to Rumfish Y Vino for dinner. The patio here is an excellent place to dine and it gave us some of our favorite flavors of the Yucatan and Belize. We were impressed with their Marie Sharp hot sauce and the authentic flavors of the Yucatan. The cochinita pibil tacos were on point and one of our favorite food experiences from our time living in Merida. 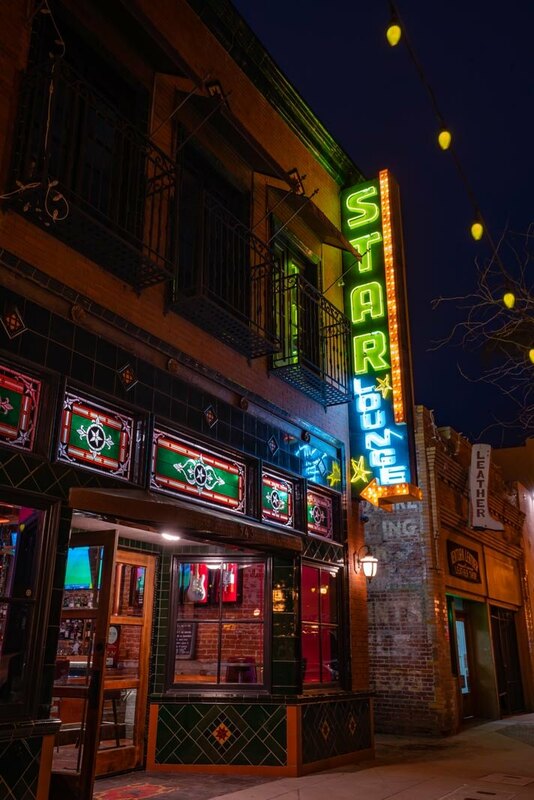 If you want to grab a drink we recommend going to the local hotspot, Star Lounge. We were drawn in by the vintage flashing sign and loved the local dive bar feel to it. They have a nice local draft beer selection to choose from and billiard tables. 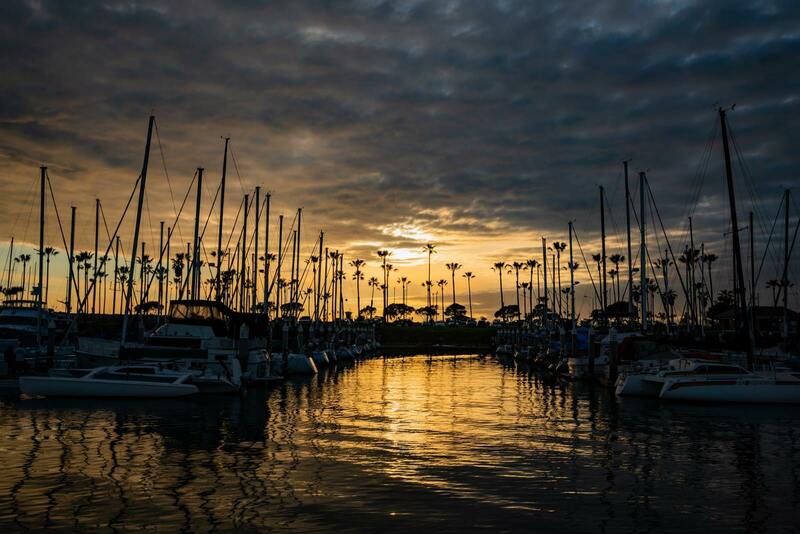 Just a few miles south of Downtown Ventura, the Ventura Harbor is where to go for some more excellent dining options including seafood, shopping, and where to go for a visit to the Channel Islands. One of the best things to do in Ventura Harbor Village beside eat great food is shop! There are just over a dozen different boutiques and shops to choose from. I loved browsing through the Barefoot Boutique and Ventura Swimwear for trendy styles and accessories. We also had a field day in the array of fun socks for sale in Lost in Socks. Another favorite was the Mermaid Gallery where local artist Tina O’Brien sells her original artwork. I obsessed over her mermaid artwork and her ‘catfish’. I couldn’t leave the store without buying her signature catfish (an actual kitty cat as a fish). 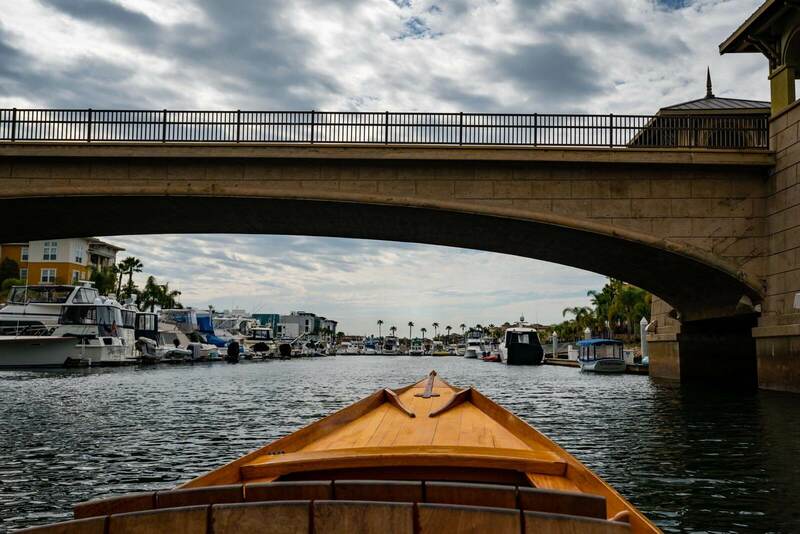 Another way to chill in Ventura Harbor and another awesome thing to do in Ventura is rent a Duffy Boat and cruise around the harbor at a leisurely pace. You can rent these adorable little electric boats in different sizes for as little as five people or up to twelve people. There are also options for stand up paddleboards and kayaks in the harbor as well. We ate two meals in Ventura Harbor, and like other meals we had during our trip to Ventura they were insanely delicious! We recommend getting a nice breakfast or brunch at the Boatyard Pub. Their breakfast menu and selection had some of our favorite dishes like huevos rancheros, breakfast burritos, and eggs benedict. They also had killer looking bloody marys, sadly we didn’t try one! Next time! The other dining option we recommend is the seafood at Andria’s. You know you’re eating somewhere great when literally every local you meet tells you about Andria’s fish n chips and clam chowder. We love their no fuss approach and laid back restaurant vibe and incredible seafood. I was honestly was a bit nervous looking at their food displays but after hearing recommendation after recommendation about this place we knew it had to be good. Andria’s did not disappoint and their servings are very generous. 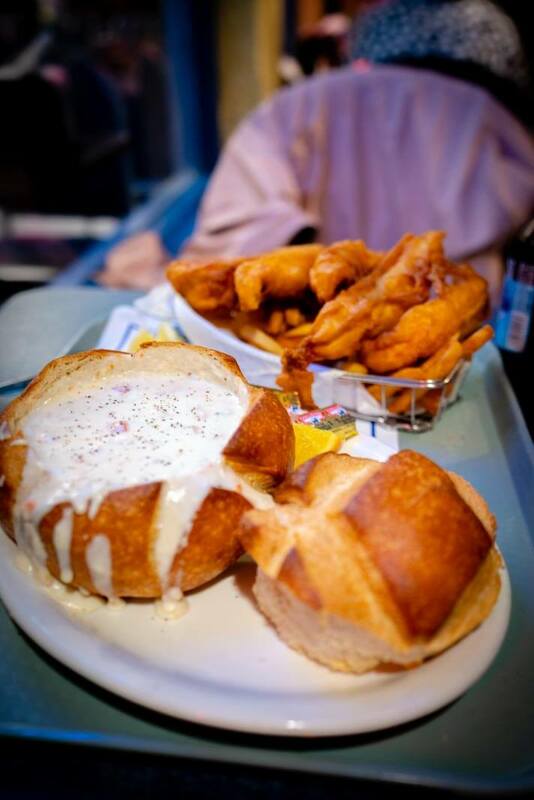 Scott ordered the chowder in the sourdough bread bowl which was creamy, rich, and heavenly. I ordered the Halibut fish n chips which were the best fish n chips we decided we had ever had. This is a must if you like seafood, and if you have a friend maybe split a dish as they are HUGE portions. Easily one of the best things to do in Ventura County Coast is head off the mainland and witness one of the most majestic and unique national parks in the US. The Channel Islands National Park is made up of five of the Channel Islands of the California coastline. There are eight Channel Islands in total, but the five in the National Park are Santa Cruz, San Miguel, Santa Rosa, Santa Barbara, and Anacapa islands. 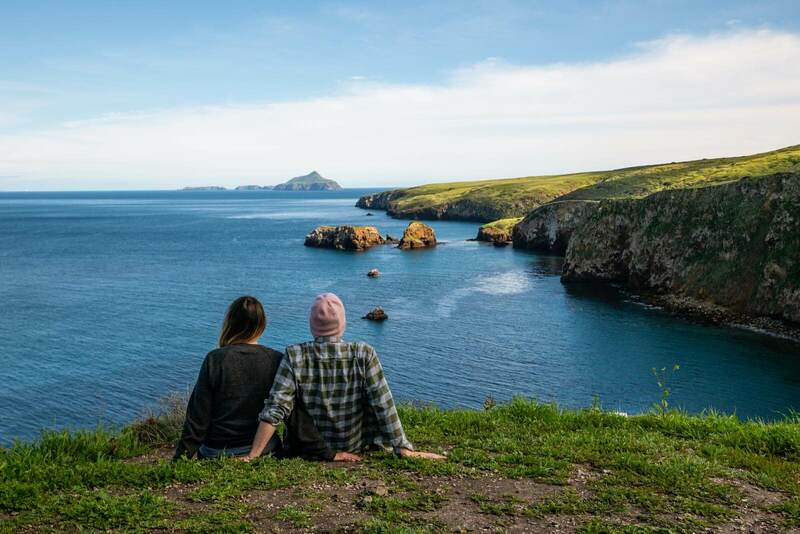 Set off with Island Packers from Oxnard or Ventura Harbor to any of the five Channel Islands that make up the National Park for a day trip or even a multi-day camping trip. We were shorter on time and did a fun day trip from Ventura Harbor with Island Packers to Santa Cruz Scorpion Island. While we didn’t have nearly enough time on the island to do everything we’d want to do we had enough time for a quick hike with stellar views. We came after a winter full of rain and the flora and fauna were lush and green. We had to pinch ourselves because for a minute we felt like we were at the Cliffs of Moher in Ireland at one of the viewpoints. The Channel Islands have their own unique biodiversity and species of plants and animals. On Santa Cruz, there is the endangered Santa Cruz fox that is adorable and the size of a domestic house cat. You can easily spot them in the campgrounds sniffing out the campers food, which don’t worry are safely stored in animal-proof boxes on the island. There are also other interesting plants and species on the islands including marine life. We were told by the ranger that Santa Rosa Island also has Torrey Pine trees which the only other place they are found in is La Jolla in San Diego. A one day trip is enough to get your tastebuds wet and make you want to come back for more. We are already wanting to figure out when and how we can do a multi-day camping trip on the islands for a return visit. This is easily one of the most beautiful things to do in Ventura if you’re a nature lover like we are. Another one of the best areas to explore in Ventura County Coast is Oxnard. Home to uncrowded stretches of beaches, a starting off point to the Channel Islands, more incredible dining, and water recreation this is another incredible place to explore and one of the best things to do in Ventura County. With a tagline like, ‘Where Venetian romance meets California sunshine,’ you can’t help but have your interest piqued. This was one of the most romantic things to do in Ventura County Coast located in the Channel Islands Harbor in Oxnard. 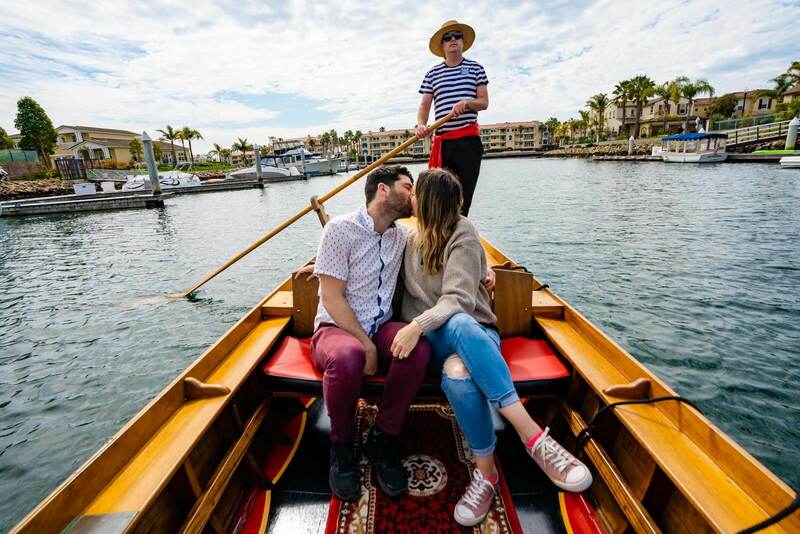 Our gondolier took us on a relaxing and romantic 50-minute gondola ride through the Channel Islands Harbor in Oxnard. We were actually quite surprised at how quiet and calm this harbor and town was in general. It really made for a peaceful time where we had nothing to do but just sit and enjoy the moment. Your professional gondolier Mark takes you in an authentic Venetian gondola reminding you to kiss when floating under the bridges. You’re even encouraged to bring your own beverage of choice, we wish we would have brought mimosas as we did this in the late morning and it just felt like the perfect place to enjoy a drink with your lover. The gondola rides are also family friendly and good for a small group. They can fit up six people so bring the family for a lovely leisurely time. You can make reservations on Gondola Paradiso’s website. Technically in Port Hueneme but surrounded by Oxnard is Port Hueneme Beach. This is a great beach in Ventura County and right next to the local naval base. This beach has its own lovely pier to walk along and a great spot for picnics and beach volleyball. There are many picnic tables around the beach as well as sand volleyball courts set up. There’s also the promenade trail which leads to the Port Hueneme Lighthouse. In Oxnard, there are some other great dining options just like this entire area. We enjoyed a tasty breakfast at the Fresh & Fabulous Café. Their breakfast menu had so many great options it was hard to choose. We both went with the Chilaquiles which were ahhhhmazing. Their red salsa was on point and had a bit of heat. After sharing our meal on our stories we got reached out to by a ton of locals saying their favorite dish, another popular among frequent visitors seems to be their waffles! This is a great breakfast option! The Waterside Restaurant and Wine Bar is an excellent stop along the waterside harbor for seafood and their al fresco menu. We enjoyed splitting a few of their small plates and a salad. Their seared ahi tuna was our favorite dish. We really enjoyed the atmosphere here right along the water and boats in the harbor. In Port Hueneme but surrounded by Oxnard is Port Hueneme Beach. This is a great beach in Ventura County and right next to the local naval base. This beach has its own lovely pier to walk along and a great spot for picnics and beach volleyball. Our last stop in the area and best thing to do in Ventura County Coast is visit Camarillo. The city of Camarillo is set inland a bit but just because there is no ocean right at your fingertips doesn’t mean there isn’t plenty of incredible things to do in here. From historical sites to dining and some of the best shopping north of Los Angeles this area is not to be missed. One of the best things to do in Ventura County Coast in Camarillo if you’re looking for more of their historical sites is visit the Camarillo Ranch House. This Queen Anne Victorian home was once home to the family of Adolfo Camarillo. Dating back to 1982, Adolfo built this house on land he inherited for him and his wife to start their family. He owned and operated the house and ranch for over 78 years and farmed cattle and crops on the land. 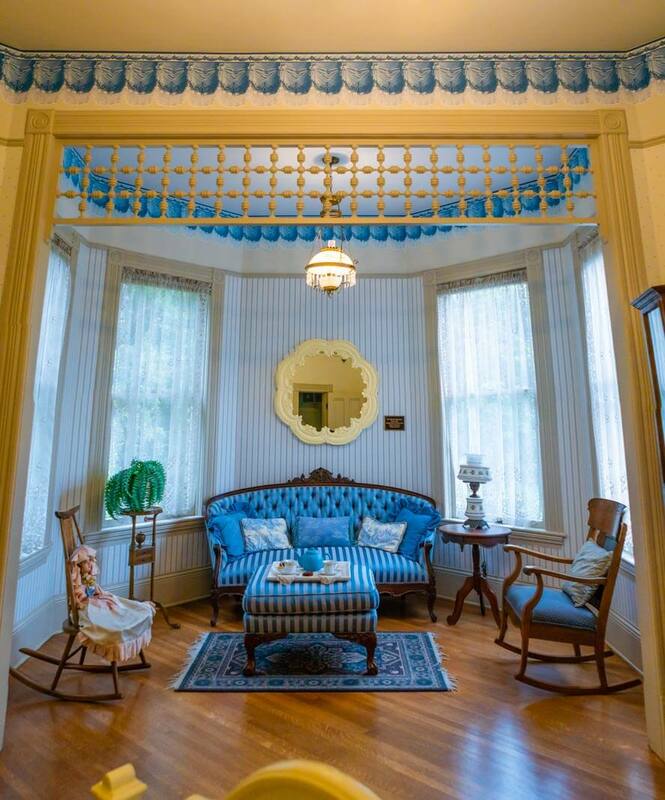 Today you can tour this incredible historic home with a docent in historical period clothing on Saturday, Sundays, and Mondays. On your tour, you will get to witness both the first and second levels of the home restored back to the 1915 setting of the home with real antique pieces donated by the Camarillo family. We love these old historic homes and the details inside. Our favorite feature of the Camarillo Ranch was the incredible walk-in refrigerator in the kitchen. If you’re looking for a killer wedding venue they do rent out the property for a very reasonable price and all the money goes back to the Camarillo Ranch House foundation. Not a bad option close to the coast in California! 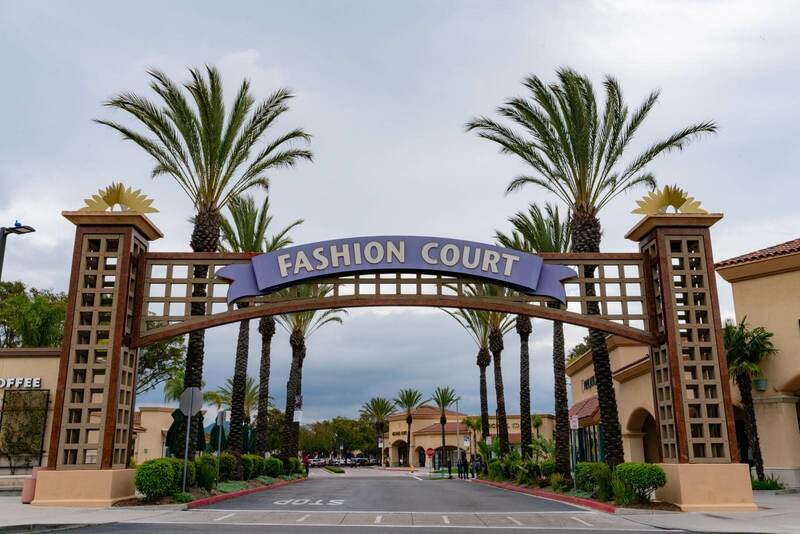 Another one of the best things to do in Ventura County Coast is shop until you drop at the Camarillo Premium Outlets. This outlet mall and shopping center has something for everyone and deals for days. With over 160 stores with all kinds of brands from department stores to designer labels, you can easily get lost here for days finding deals. Consider getting their shopping passport for more savings and deals inside the mall at various retailers. Over 100 of the retailers participate in additional savings and discounts offered in the passport program available at Guest Services. We were surprised to discover that Ventura County Coast has its own beer and wine scene! We already know what we want to come back to the area for more of now. We tried Institution Ale right across from Camarillo Ranch House and it had a fun, lively, microbrewery scene. They have a few seasonal beers on draft along with their regular offerings. We recommend doing a tasting flight so you can figure out which you like the best. They also have growlers to go if you fancy taking some home as a souvenir. 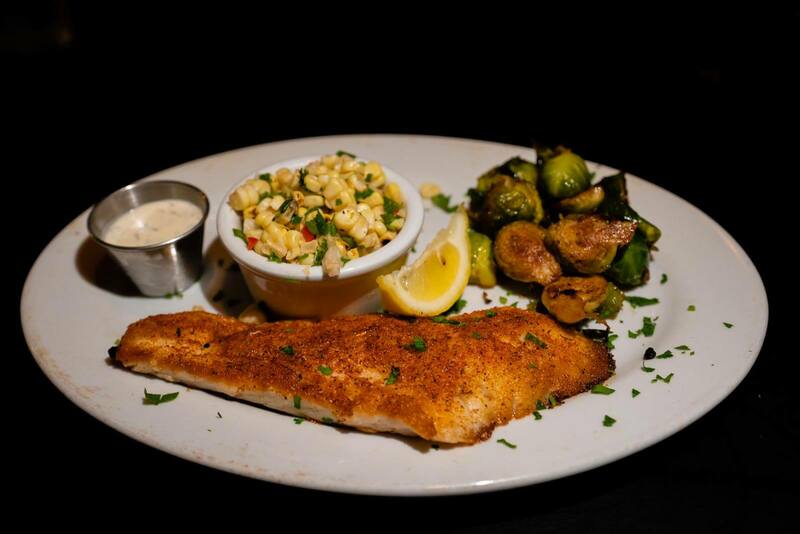 A great option for where to eat in Camarillo is Lure Fish House. They also have a location in Ventura as well. This seafood restaurant offers an array of seafood dishes and an impressive wine list to pair. Everything from the environment to the vibe in here was great. 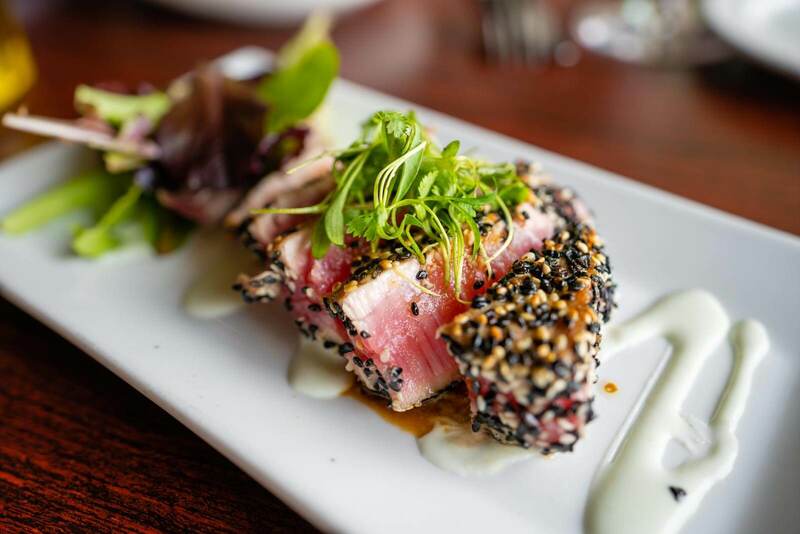 We loved the ahi and the grilled seabass. While there are plenty of hotels to stay in and enjoy all the best things to do in Ventura and nearby we recommend staying in this unique accommodation experience right by downtown Ventura. 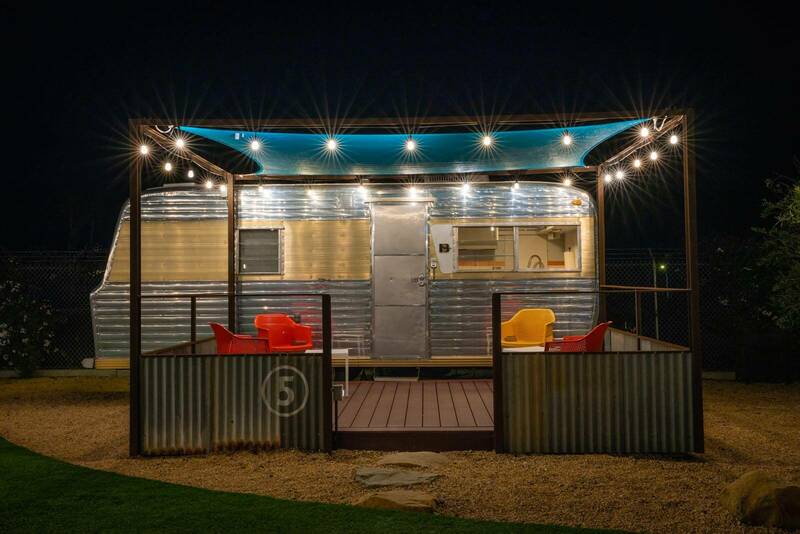 Waypoint Ventura is a vintage trailer park offering restored antique and vintage campers to fully functioning hotel rooms. Each camper has their own theme and design features as well as a patio with strung lights and a communal fire pit with smores nightly. We absolutely adore this concept and LOVED this experience. We would 100% do this again and get a different camper. There are 18 different campers to choose from OR if you have your own vintage style camper they do let you park here to do you exploring around Ventura, Oxnard, and Camarillo. We stayed in the Navigator which was surprisingly very spacious and had a full sized bathroom. We were actually quite impressed with the layout of the camper and decided we could probably do a tiny house lifestyle out of this thing. Disclaimer: This trip was in collaboration with Visit Ventura County Coast, however as always all experiences and opinions are our own! Liked this post on the best things to do in Ventura County Coast for a first time visitor? 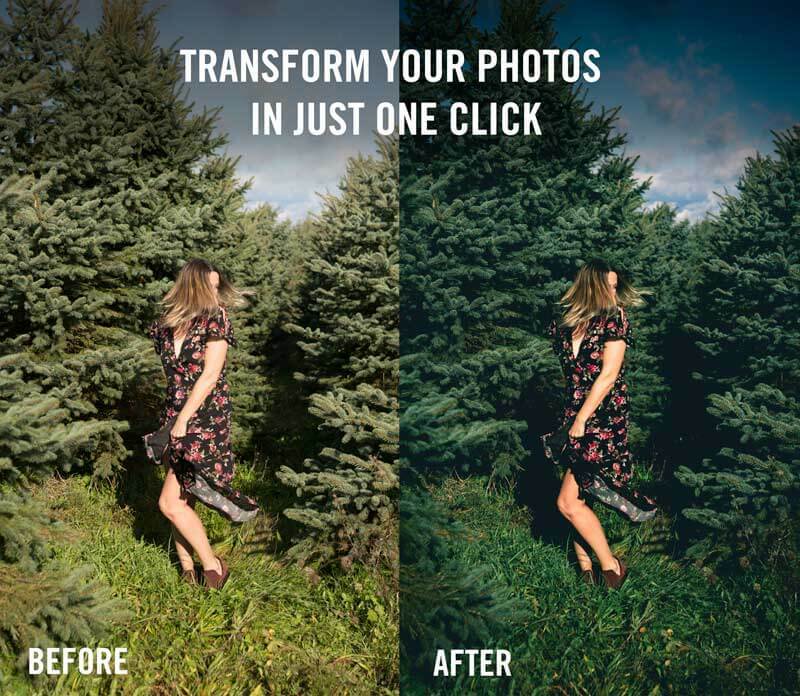 Bookmark for later or share the love below on Pinterest!